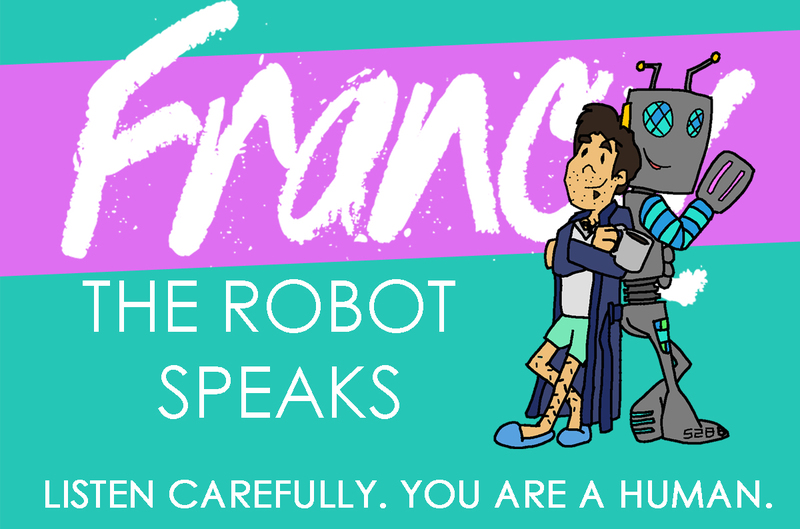 Thank you so much for an incredible year with The Robot Speaks! The show, the songs, the record – it taught so much about myself as an artist. It made me fearless again. You were a part of that in 2015, and I’m so grateful! All good things must come to an end and I’ve decided to retire The Robot Speaks. Why? I need to make room in my brain for new projects! I want to tell you all about them but there’s something I want to do first! I want to share a new video with you. Out of all the original songs on The Robot Speaks, I got the biggest reaction to one song in particular. It was one of those songs that scared me as it was taking shape. “Is this how I really feel?” I’d wonder as I scribbled the lyrics down. Looking back over the past few years, I can’t think of a better song to culminate the healing process that The Robot Speaks has been for me. I’m joined on this track by my talented wife Julia Appleton. My good friend Michael Paterson lent me his 8-bit prowess to spruce up the ending a bit and I’m so grateful to my friend Wayne Young for his nuanced mixing that really brought the track together. The video below is made up of free-license clips I gathered online. I’m not much of a video editor, but I think the visuals help to evoke what the song is trying to say. So grab your headphones and enjoy! Here’s to being humans today and every day!